Mr Pot – have you met Mr Kettle? Shane Warne, hair-loss expert (“The decision for me to do something about my hair loss was simple… I didn’t want to go bald“) and sometime soap star, thinks Ravi Bopara is “too worried about how he looks” to make an impact on the Ashes. The Ashes phoney war, it seems, is well and truly underway. England fans who have handed over £45 to watch England versus the West Indies at Headingley (or up to a whopping £66 to watch the Second ODI at Bristol) may be, how shall I put it, a little disappointed that they will see neither Andrew Flintoff nor Kevin Pietersen. They may also be less than impressed with the tourists’ attitude so far. Nevertheless, England’s success in the ODI series over in the Carribbean, as well as ever-growing Ashes fever, will ensure plenty of attention is paid to this series. The return to the side of Dwayne Bravo, and the move to a format of cricket that Chris Gayle cares about, will boost the Windies’ chances no end. For England, much of the attention will be on the new blood in the squad. 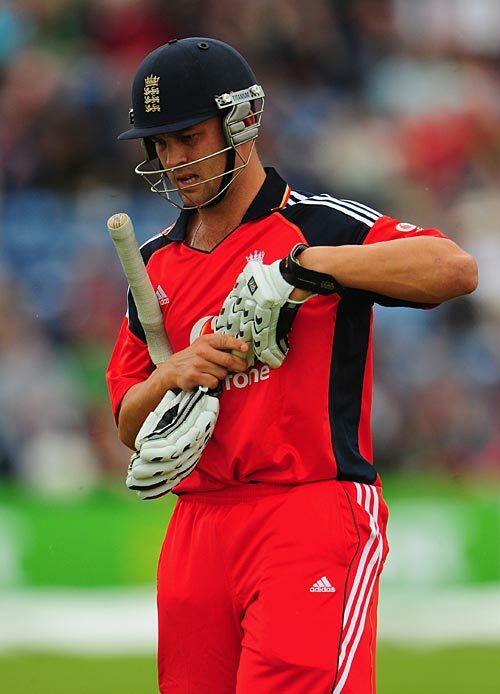 Tim Bresnan returns for the first time since 2006, whilst Eoin Morgan looks set to get his big chance in Pietersen’s stead. Meanwhile, Ravi Bopara’s recent Test and IPL form means that he may now be the headline-grabber. England are favourites, but I think they’ll have a tough time of it if Chanderpaul, Gayle and Bravo all perform for the Windies. Given that the West Indies, and Chris Gayle in particular (although it’s not entirely clear whether he was misinterpreted or not), have more or less said that they don’t want to be in England, the home side’s convincing win in the First Test is looking a little less impressive. The Second Test is England’s last opportunity to work out the ideal Test side to take into the Ashes. The slightly less than impressive showing with the bat by everyone except Ravi Bopara in the first match is a valid cause for concern, and the Australians certainly won’t roll over as easily as the Windies did at Lord’s. Kevin Pietersen in particular was uncharacteristically anonymous last week, and will be keen to get back into form before the Aussies arrive. The arrival of Bopara as England’s newest saviour (which may have temporarily usurped KP from his usual role as big-hitter and headline-grabber), and a difficult winter when the latter’s commitment to England came into question on more than one occasion, mean that England’s former captain and foremost Aussie-baiter may feel that he has much to prove.